I tell you what, this was a lot better than that place my parents used to take me to near the Astrodome when I was a kid. I guess going to the Houston Rodeo and seeing those cowboys buckle those Mustangs got me in the mood to find my Texan roots and take a horse riding class. (I am too afraid to ride sheep like the Mutton Busters do). 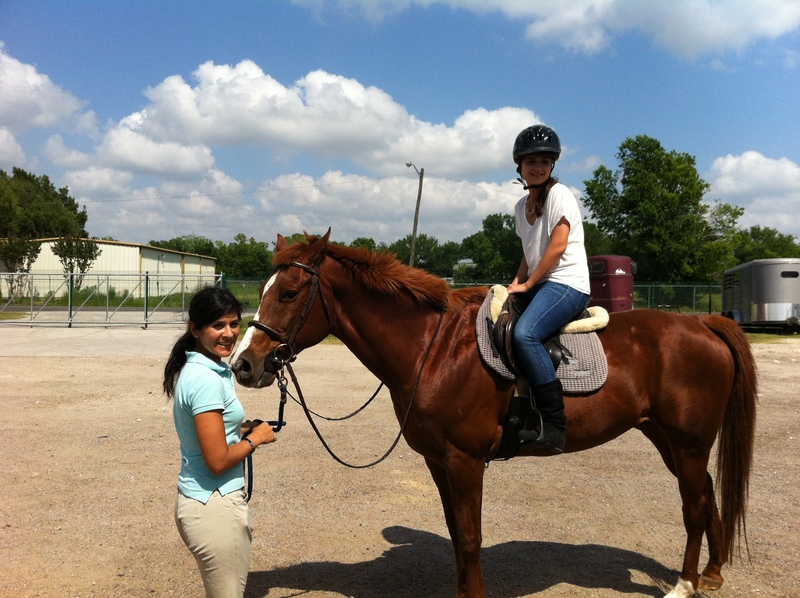 As luck would have it, there is a horse farm located about 20 minutes from Houston Downtown called Clear Round Show Jumpers where they also teach you how to ride a horse. More than 40 horses are stabled there. 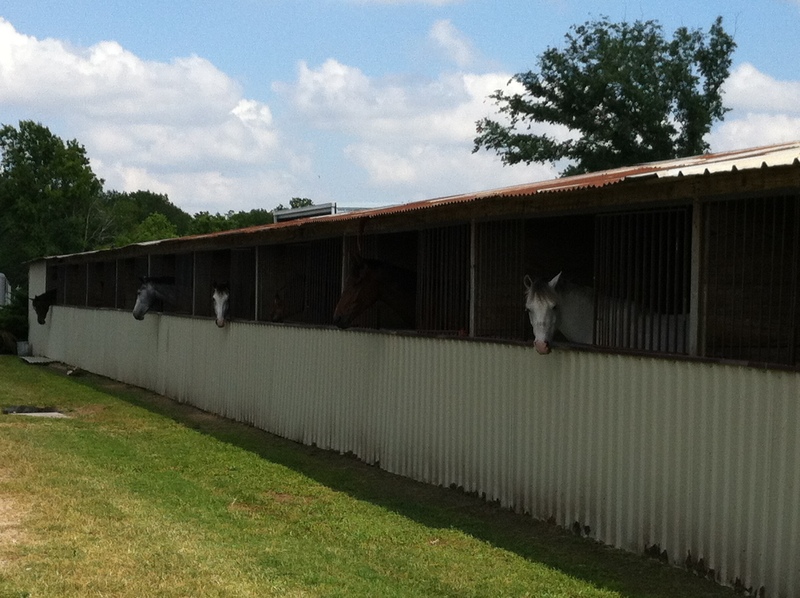 It was so funny to ride on my horse between the barns and see all the other horses staring at us. So how did the lesson go you ask? It was lots of fun! 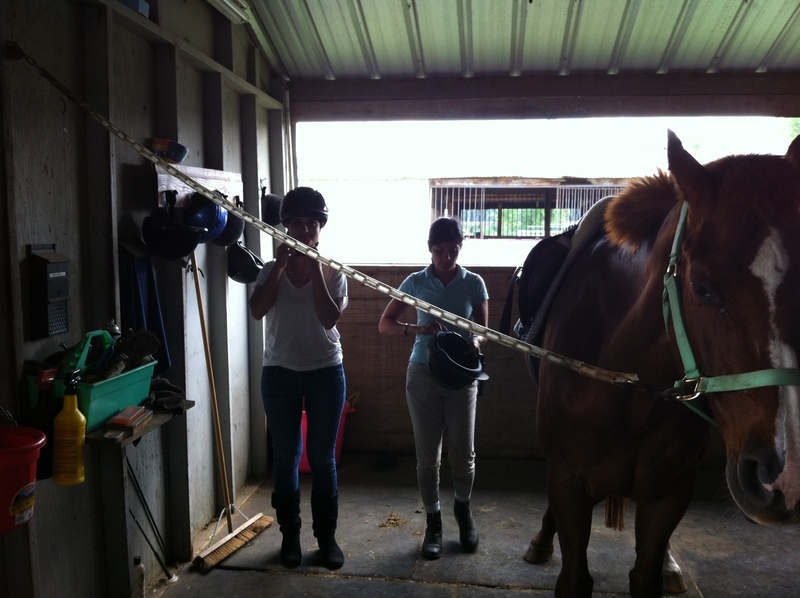 Before you even get on the horse, they teach you how to prepare the horse for a ride. Properly secure them, clean their horse shoes, brush them, how to put the saddle on, and the bridle. It sounds like there is a lot of effort, but doing all this only took around 15 minutes. Finally, strap the helmet on and it’s go time! Sitting on a tall horse is a great experience. I learned how to make the horse go, stop, and make turns. Of course, this was under the supervision of professional horse riders Adrian and Dominique. There was plenty of room to ride Topac around the farm, practice some turns, and gallop a bit. Before I knew it, the hour was up. Time flies when you are having fun. 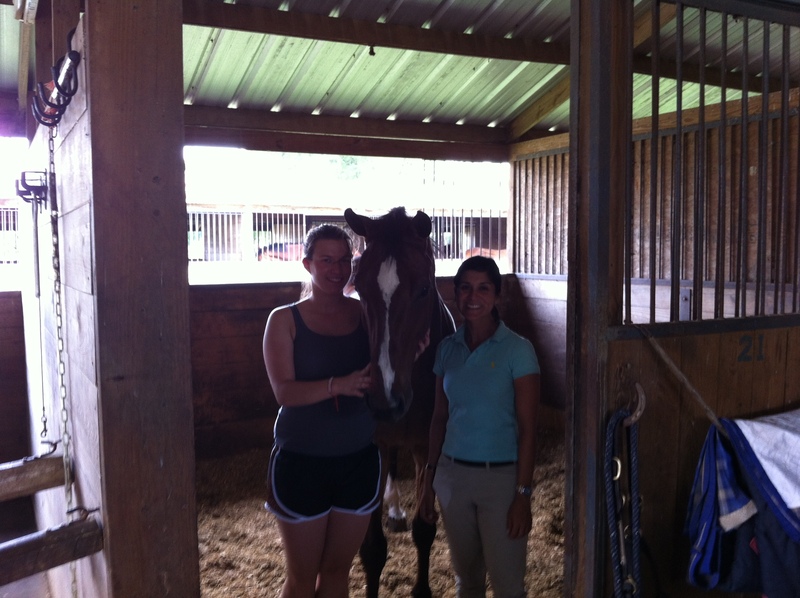 Special thanks to Adrian and Dominique from Clear Round Show Jumpers below.